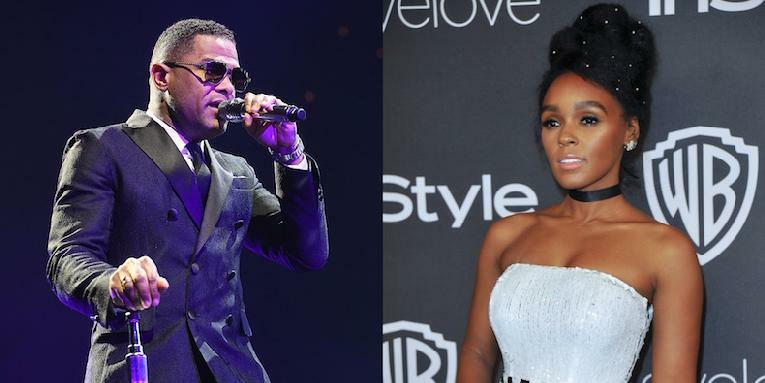 *NEW YORK, NY – Today, the Women’s March on Washington announced that music icons Janelle Monáe, Maxwell, and Angelique Kidjo will be performing at the Women’s March on Washington, which will take place in Washington, D.C. on Saturday, January 21, 2017. Additional performers include Toshi Reagon, Samantha Ronson, Emily Wells, DJ Rekha, MC Lyte, St. Beauty, Beverly Bond, Alia Sharief, DJ Rimarkable, Amber Coffman, the Indigo Girls, Mary Chapin Carpenter, and Climbing PoeTree. In addition to the performers, top artists Questlove, Grimes, Matt and Kim, KT Tunstall, Neko Case, Rakim, TV on the Radio, and Lila Downs will join the March’s Artist Table, a diverse group artists, musicians, actors, writers, and creatives who are supporting the Women’s March on Washington and sister Marches around the country, joining in solidarity either in person, or via social media. Chaired by America Ferrera, the Artist Table includes over 150 artists; to view the full list, click here. “We are here because women are every bit as capable if not more able to pursue any goal they set forth for themselves. Were it not for the limitless depths of their love we would not be the men that we are,” said Maxwell. “I feel my role as an artist coming from the African continent is to remind people again and again, through music and advocacy, how beautiful and important our cultural diversity is. 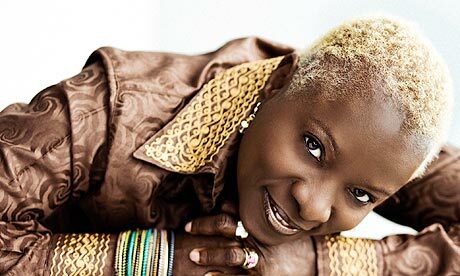 This is what makes our shared humanity so precious,” said Angelique Kidjo. In honor of the March, performing artist and Music Director of the Women’s March Toshi Reagon recorded an original version of “Ella’s Song” aka “We Who Believe in Freedom Cannot Rest Until it Comes,” a classic protest anthem that was written by Dr. Bernice Johnson Reagon, Toshi’s mother, in honor of civil rights icon Ella Baker. The song was originally recorded by the famed activist A Capella group, Sweet Honey in the Rock. The rally portion of the March will conclude with a live performance of Reagon’s rendition of “Ella’s Song.” All March participants will be invited to join together in song. “Ella’s Song” can be listened to or downloaded here. “Music engages every part of the body. It is also a call. Anyone within the sound of a voice ringing a good song has the opportunity to join in congregation and not only tell a power for story, but make necessary declarations. Now is the time for action. Now is the time for singing our songs together,” said Reagon. Held on the first day of the new presidential administration, the Women’s March on Washington aims to send a message to all levels of government and the incoming administration: that we stand together in solidarity and expect elected leaders to act to protect the rights of women, their families and their communities. “We are inspired by the 150 plus artists that have joined us to say that they will not be silent while the most vulnerable communities come under attack. Artists are the gatekeepers of truth and we are lucky to have these brilliant and brave artist stand in solidarity with the Women’s March on Washington,” said Paola Mendoza, Artistic Director of the Women’s March on Washington. The Women’s March on Washington is a women-led grassroots movement that will bring people of all genders and backgrounds together to take a stand on social justice and human rights issues ranging from race, ethnicity, gender, religion, immigration and health care. Over 200 sister marches are also being planned across the country. The March is a statement of solidarity affirming our shared humanity and fundamental human rights. Visit www.womensmarch.com for additional information. About the Women’s March on Washington: The Women’s March on Washington, held on January 21st in Washington, D.C., intends to send a bold message to the incoming Presidential administration on their first day in office, to leadership in the U.S. House of Representatives and Senate, Governors and state Congresses, and to the world, that we stand together in solidarity and expect elected leaders to act to protect the rights of women, their families and their communities. The March is led by a national coordinating committee, volunteer organizers representing all 50 states, and numerous partner organizations. Partners include Amnesty International, EMILY’s List, GLAAD, Girls Who Code, Muslim Women’s Alliance, Planned Parenthood, United We Dream, and many more.